Firefighters had to deal with a blaze in a disused caravan on the site of a former Burnley factory. 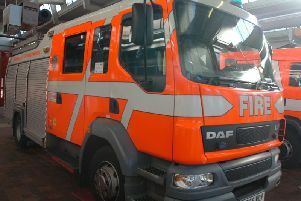 Two fire engines and crews from Burnley responded to the fire at 7pm on Monday at the derelict caravan in Bruce Street, near to the site of the former Gardner Aerospace. Firefighters used a hosereel jet to extinguish the fire.